ONCE again, religious parties are creating hurdles in the passing of the Khyber Pakhtunkhwa Domestic Violence against Women (Prevention and Protection) Bill. The bill was introduced in the provincial assembly early this week after being approved by the provincial cabinet in 2018. The stated purpose of the bill is to prevent domestic violence against women and to protect them from sexual, psychological and economic abuse. If passed, women from KP or their guardians can file complaints to 10-member committees headed by district deputy commissioners, which will provide assistance to them. 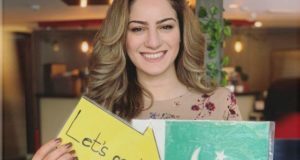 Any person found guilty of abuse would be imprisoned for up to three months or fined up to Rs30,000 (or both) under the Pakistan Penal Code. Undoubtedly, this will be a welcome move for the women of KP who deserve just as much security as their counterparts in other areas of the country. But whenever such laws are discussed, opposition voices are raised using the rhetoric of ‘culture’ and ‘family’. It was only last month that KP appointed its first provincial ombudsperson for sexual harassment, after much resistance from certain quarters. In 2016, Punjab passed the Protection of Women Against Violence Bill, 2015. Over the years, Punjab has had the most instances of violence against women — or at least the most reported. The law offers protection to women against a range of abhorrent crimes: domestic violence, emotional, economic and psychological abuse and cybercrime. Additionally, it provides protection, residence and/or monetary order in light of such offences. Prior to this, Sindh had passed the Domestic Violence (Prevention and Protection) Bill, 2013, and Balochistan passed the Domestic Violence (Prevention and Protection) Bill, 2014. While these laws may have their deficiencies and loopholes, and are open to criticism and thus improvement, they are absolutely vital in recognising that violence against women is a crime in the eyes of the state. Violence is another form of control, and there is no end to the many ways society attempts to ‘control’ women through judgement or coercion. Inherent to these notions of control are knee-jerk reactions and deep-seated fears of women gaining independence — and men subsequently losing their power over them — which somehow translates into the breaking up of families for some. This is simply untrue. And if families are indeed being kept together through fear and violence, that is not a healthy environment for any member of the unit to be in, in the first place — least of all the most vulnerable member, who has to suffer just to fulfil someone else’s abstract ideals. Such regressive attitudes infantalise adult women by casting doubt on their decision-making faculties, and are used as a tool to justify oppression. All women citizens deserve a life free of intimidation, harassment and abuse both within and outside their homes. 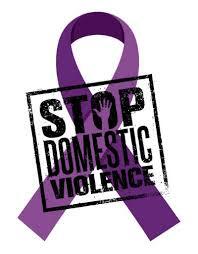 Domestic violence is not to be taken lightly.